4151501 PC1400-1 KOMATSU PC1400-1 Mining excavator. Spare Parts Catalog. Service (workshop) Manual. Operator's Instruction Manual. 4151502 PC1400-1A KOMATSU PC1400-1A Mining excavator. Spare Parts Catalog. Service (workshop) Manual. Operator's Instruction Manual. 4151503 PC1600-1 KOMATSU PC1600-1 Mining excavator. Spare Parts Catalog. Service (workshop) Manual. Operator's Instruction Manual. 4151504 PC1600SP-1 KOMATSU PC1600SP-1 Mining excavator. Spare Parts Catalog. Service (workshop) Manual. Operator's Instruction Manual. 4151505 PC1800-6 KOMATSU PC1800-6 Mining excavator. Spare Parts Catalog. Service (workshop) Manual. Operator's Instruction Manual. 4151506 PC2000-8 KOMATSU PC2000-8 Mining excavator. Spare Parts Catalog. Service (workshop) Manual. Operator's Instruction Manual. 4151507 PC3000-1 KOMATSU PC3000-1 Mining excavator. Spare Parts Catalog. Service (workshop) Manual. Operator's Instruction Manual. 4151508 PC3000-1E KOMATSU PC3000-1E Mining excavator. Spare Parts Catalog. Service (workshop) Manual. Operator's Instruction Manual. 4151509 PC3000-6 KOMATSU PC3000-6 Mining excavator. Spare Parts Catalog. Service (workshop) Manual. Operator's Instruction Manual. 4151510 PC3000-6E KOMATSU PC3000-6E Mining excavator. Spare Parts Catalog. Service (workshop) Manual. Operator's Instruction Manual. 4151511 PC3000E-6 KOMATSU PC3000E-6 Mining excavator. Spare Parts Catalog. Service (workshop) Manual. Operator's Instruction Manual. 4151512 PC4000-6 KOMATSU PC4000-6 Mining excavator. Spare Parts Catalog. Service (workshop) Manual. Operator's Instruction Manual. 4151513 PC4000-6E KOMATSU PC4000-6E Mining excavator. Spare Parts Catalog. Service (workshop) Manual. Operator's Instruction Manual. 4151514 PC4000E-6 KOMATSU PC4000E-6 Mining excavator. Spare Parts Catalog. Service (workshop) Manual. Operator's Instruction Manual. 4151515 PC5500 KOMATSU PC5500 Mining excavator. Spare Parts Catalog. Service (workshop) Manual. Operator's Instruction Manual. 4151516 PC5500-1 KOMATSU PC5500-1 Mining excavator. Spare Parts Catalog. Service (workshop) Manual. Operator's Instruction Manual. 4151517 PC5500-6 KOMATSU PC5500-6 Mining excavator. Spare Parts Catalog. Service (workshop) Manual. Operator's Instruction Manual. 4151518 PC5500-6E KOMATSU PC5500-6E Mining excavator. Spare Parts Catalog. Service (workshop) Manual. Operator's Instruction Manual. 4151519 PC5500E-6 KOMATSU PC5500E-6 Mining excavator. Spare Parts Catalog. Service (workshop) Manual. Operator's Instruction Manual. 4151520 PC8000-1 KOMATSU PC8000-1 Mining excavator. Spare Parts Catalog. Service (workshop) Manual. Operator's Instruction Manual. 4151521 PC8000-1E KOMATSU PC8000-1E Mining excavator. Spare Parts Catalog. Service (workshop) Manual. Operator's Instruction Manual. 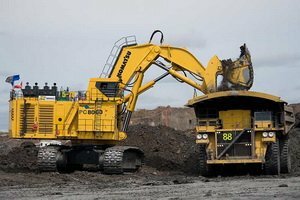 4151522 PC8000-6 KOMATSU PC8000-6 Mining excavator. Spare Parts Catalog. Service (workshop) Manual. Operator's Instruction Manual. 4151523 PC8000-6E KOMATSU PC8000-6E Mining excavator. Spare Parts Catalog. Service (workshop) Manual. Operator's Instruction Manual. 4151524 PC8000E-6 KOMATSU PC8000E-6 Mining excavator. Spare Parts Catalog. Service (workshop) Manual. Operator's Instruction Manual.